On my last vacation I finally got around to reading Masters of Doom by David Kushner. This book from 2003 keeps popping up every now and again and people always rave about it. I put it on my Amazon wish list years ago (which holds 50 books atm). But recently I came across it again, so it was time. And boy, what an absolute pleasure to read, it was. From start to finish. It’s the story of id Software and mainly the two Johns (Carmack and Romero) the 2 founders who, as the books’ subtitle states, transformed pop culture with their games. This is not a lie. id Software single handedly created the FPS genre with their Wolfenstein 3D, Doom and Quake games and were responsible for introducing the PC in the 90s as a serious (gaming) platform. This is not a book review. Just read the book, trust me you’ll enjoy it. There are a gazillion (positive) reviews available. This post is just a list of things that struck me while reading this masterpiece. Arcade machines ruled the earth. Before anything else. I myself am too young to have experienced this phase. And I never understood why that was. What makes an arcade machine so different. This books explain it a bit. The Apple II ruled after that. It is striking how important the Apple II and its programming environment were for both young Johns. It is the spark set the flame. After the first successes with id Software, Carmack was very keen on getting a NeXT computer (a machine created by, of course, Steve Jobs). He did most of his programming on this (Note: Tim Berners-Lee created the WWW on an NeXT machine). But the Apple II and subsequent the PC were really expensive and unattainable for both Johns. Carmack was even arrested for stealing one (and did time), and even when they started to have some success and were (secretly) starting id Software they ‘stole’ PC´s from their employer because they still couldn’t afford their own. Carmack often says how different the world is now: just get a cheap PC, internet and a Linux distro and you’re good to go. You can go and “create things from thin air”. But this is something we take so much for granted now, that the value of it seems lost. I can’t shake the feeling that being withheld from access to a PC for so long has solidified Carmacks’ appreciation, interest and relation with a PC (deprivement pushes innovation). Nintendo Super Mario Bros from 1983 was so far ahead its time, that it’s hard to put into perspective nowadays. Mario, a continuous sidescroller game, was never done before and it took John Carmack several years before he could emulate this on a PC. I never realised this. Nintendo was on another level. When Carmack figured out how to do sidescrolling, their whole team recreated the entire Mario game in a weekend (!) and offered it to Nintendo. They were impressed but weren’t interested in the PC market. 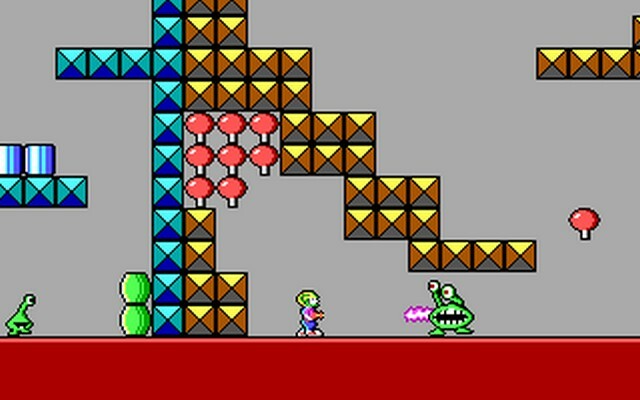 So their sidescrolling technique turned into: Commander Keen. Which was a massive success. (I myself spent many hours playing Keen, it was my introduction to gaming). My respect for Carmacks’ technical abilities has only grown with this book. But I can’t deny he sometimes comes off as somewhat sociopathic. With little regard for other peoples’ feelings (especially when he was younger). He lives and cares only about the now and the future and programming. The past seems utterly irrelevant to him (he didn’t even keep copies of his first games). But hey, maybe that combination is what drives innovation. What I really liked about him though was/is his stance on open source software and anti-patent views. The book Hackers (which I completely incidentally bought at the same time as I bought this book!) was a great influence to young Carmack and shaped his views on software. A lot of his techniques and engines are open sourced, but he also encouraged the modding and hacking of their games (I argue that this added to their success). When id Software was coming up, the internet was just getting started, there were newsgroups, FTP and BBS. But that was about it. Imagine the kind of earthshattering experience the first networked multiplayer game must have been: Doom. (It was then that Romero coined the term deathmatch). The board game Dungeons & Dragons is very very important in id Software history and game concepts. A lot of elements in their games can be traced back to D&D. All early employees were avid players. I did not know this. Games push innovation. You might not care about games (Carmack himself grew disinterested in games as the company grew) but games are largely responsible for driving and pushing the PC where it is nowadays. Virtual Reality was already a thing people were working on and thinking about, in the 70s, 80s, 90s. It never worked. 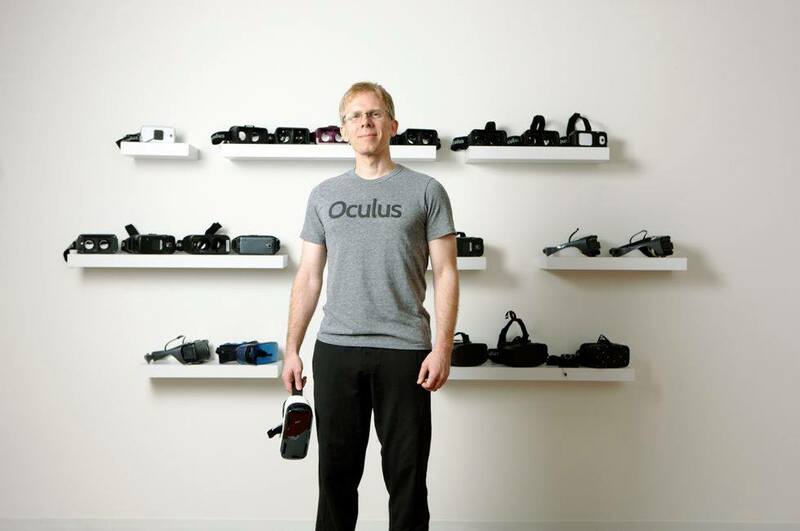 Carmack left id Software 2 years ago to work on the Oculus Rift VR. This could be it. The time might be now. Technology might finally be ready. And if there would be only one person in the world that could pull it off then you can rest assure, that person is working on it right now: John Carmack. I could go on about the pizza and diet Coke addictions or the interesting relation/energy between Romero and Carmack, that they were a perfect match that pushed each other but also as they both grew, they grew apart. Or how Doom integrated in everyday life and was subject of critical outrcy following the Columbine shooting. But just read the book for yourself (or read about it here, here or here). It is ultimately a book about a couple of guys that started from the bottom and created a startup which in turn created an industry. A classic Silicon Valley rags to riches story.